Cricket is third most watched major team sport in the behind Football and Rugby and cricket is at its best when a fast bowler running in at full speed and terrorizing batsmen. Although the sight of bowlers troubling batsmen is far and few between these day as cricket has evolved with addition of shorter format like T20 where Batsman dominate bowlers. 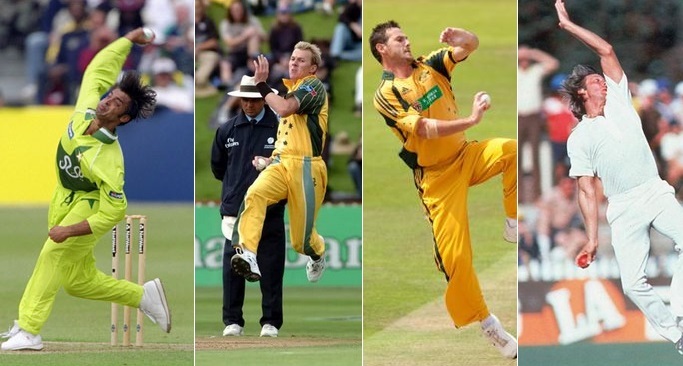 We take a look at some of the fastest bowlers in history of cricket. How does the speed is measured: With todays technology its alot easier and precise to measure speed of bowlers as there are speed guns planted around the ground which measure the speed of ball when it leaves the hand of bowler. Instrument called “Radar Gun” which consist of transmitter and receiver uses a radio wave to intercept speed of cricket bowl the moment it leaves bowlers hand. 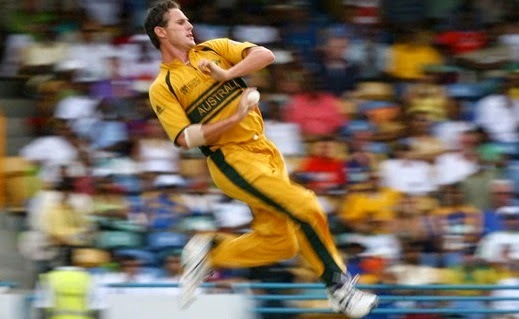 So who are the top 10 fastest bowlers in history of cricket ? Well only in late 90’s a new more precise radar gun system started recording bowling speed and its hard to compare speeds with earlier times. But we take a look at 10 of the fastest bowlers in the world who’s speed was officially accepted in ICC recognized matches. There are fastest bowlers and than their is Shoaib Akhtar, he consistantly bowled over 150 km/h in his career albeit short one. Reached a world record speed during World Cup 2003 against England when he produced a 161.3 km/h speed of a ball to England’s knick Knight. He become the first bowler to reach speed of 100 miles an hour in official ICC match. Along with Shoaib Akhtar, Australian fast bowler Brett Lee was at the peak of his powers during his career and he terrorized batsman all over the cricketing world reaching over 150 km/h consistently. He became the second bowler in history to record a 100 miles per speed during 2005 ODI game against New Zealand when he recorded 161.1 km/h (100.1 miles/ph). Reaching one off top speed is one thing, but what made Shoaib Akhtar and Brett Lee the fastest bowlers was the fact they could consistently produce speeds of over 150 km/h during their careers unlike the other names in list. Another Australia name in the list is Shaun Tait, whos career was short lived but was fun while it lasted. He was not your average tall bowler with orthodox round arm bowling action but he could really hit the deck hard with his pacy and skiddy bowling line and length. He recorded 160.7 km/h bowling speed against Pakistan in the ODI game in Australia. Now this can be controversial because its hard to believe there was precise enough instrument to record bowling speeds in 1976 but he was definitely the fastest bowlers of his era. Apparently he recorded the fastest bowling speed in world cricket of 160.6 km/h in the nets back in 1976 when a fast bowling study was conducted. Many batsman of Thompson era believe that he was faster than Brett Lee and Shoaib Akhtar. Jeffrey Thompson himself believe that he was the fastest ever and some of his deliveries were way faster than 160km/h. Tall West Indies bowler in the golden generation of West Indies cricket Andy Roberts was part of a formidable West Indies bowling units. 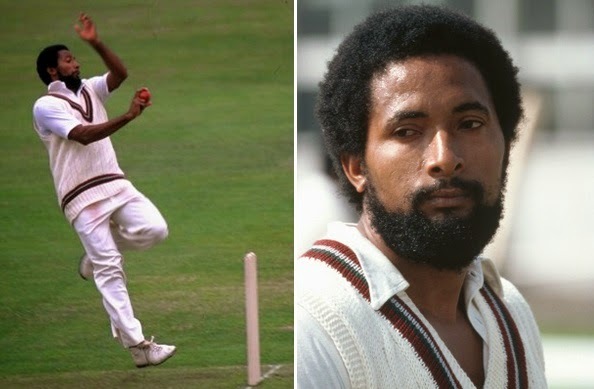 They were all fast but Andy Roberts stood out with his speed and many batsman of his generation regard him one of the fastest they have ever faced. His fastest bowl is recorded at the speed of 159.5 km/h which 99.11 miles/h. Another West Indies bowler but from the current crop, Edwards is frustratingly inconsistant but he consistantly bowls fast and recorded his fastest delivery at the speed of 157.7 km/h during ODI game against South Africa in 2003 which kind of put him the limelight. But since than he has failed to achieve the hype surrounding his speed. 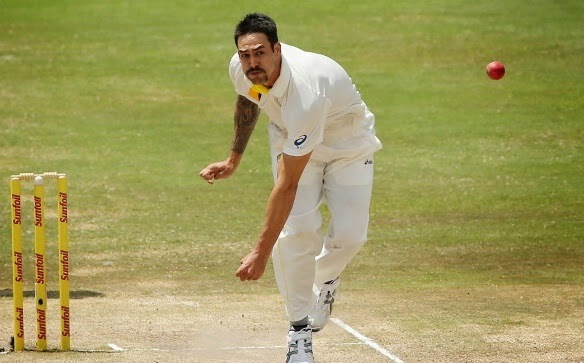 Mitchel Johnson career was going nowhere but he turned all around in the recent Ashes series in Australia where he bamboozled English batsman with his raw pace and aggression and recorded his fastest ball at 156.8 kmph in the 4th Ashes test. That series was kind of turning point in his career and now he is widely regarded as one of the best fast bowlers currently active. Another fast bowler another similar tale, a talented youngman with a very short cricket career. Muhammad Sami rose to fame when Wasim and Waqar retired. He was geniun fast bowler but often missed his line and length in prsuit speed. His fastest bowl was recorded at 156.4 kmph against Zimbabwe in UAE. You see it will be great if we could some how go back in time and see some of the fast bowlers at their peaks. Many believe Geoffrey Thompson consistantly bowled between 162 to 170 km/h at his peak (before he hurt his shoulder in 1976). While there are couple of other fast bowlers who could have featured in the list if had proper mechanism to track their speeds. Frank Tyson was widely regarded as the fastest bowler of his generation. He only played 17 tests between 1954 to 1959 and the great Richie Benaud would often hail Frank Tyson as “fastest a man could bowl”. There is no denying that Michael Holding was one of the greatest bowlers of all times but unfortunately he was never official record with his bowling speed. Had it been possible he will surely make the top 10 list. When did he bowl 160.4 ? Do you have proof ? It would be interesting to find out just how fast Sylvestre Clarke bowled.The technology wasn’t around in his time ,but he did terrorise the best batsmen. I rate Andy Roberts as the best fast bowler. He can bowl bouncers as well as yorkers. Second is Malcolm Marshall and Micheal Holding, both of them after the world cup in 1983, came to India and played 6 tests and won 3 tests against India, and both of them took more than 50% of the wickets taken by West Indees Bowlers. I rate Indian Bowlers as the poor bowlers, as they cannot bowl long spells, when they bowl long spells, their bowling will come down to 135 and less than 125 kilometers. Luckily Indian Bowlers, did not bowl long spells so far. The other thing about Roberts, Marshall and Holding is that they were all smart as well as fast. Marshall actually became a better bowler when his pace slowed down a bit. Roberts, as well as being fast and smart had the ability to just be plain spiteful and nasty! As an Englishman I grew up in the 70s watching someone who had everything. Absolutely loved Denis Lillee! A fast bowlers fast bowler. Anecdotally Andre Van Troost, who played for Somerset and Holland in the mid 1990’s was supposed to be frighteningly fast, as told by both Desmond Haynes and Mark Butcher who between them must have faced the quickest of the quick in their careers. Unfortunately, though very fast, he wasn’t very good! I think Brett Lee too impressive than the rest of the list. He bowled very quick at the same time he bowled good line and lengths & that’s why he had taken lots of wickets in cricket.